Born 1961 in Darmstadt. 1976-1991 cello lessions at the Academy for Musical Art Darmstadt. 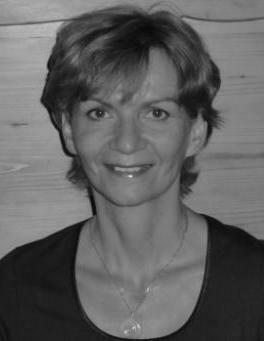 2001-2011 member and spokeswoman of the Vocal Ensemble Darmstadt. Since 2003 private singing lessons and since 2010 member of the Extra-Choir at the State Theatre Darmstadt. 1982-1991 Technical Assistant at the organic chemistry department of the Technical Academy Darmstadt. 1998/99 community service for the library of the Natural Science Association Darmstadt. Since 2000 Assistant Documentary at IMD.